← What Makes a Commendable Speech Therapist? Graduating from college is a huge success for the students and their parents. It is a rewarding feeling of finally achieving a goal. A lot of graduates feel the pressure of finding the best suited job right after graduation. The expectations from family and friends are high during this time. Finding a job is not a race, it requires a thorough research. A perfect employer does not only mean the highest offer, an applicant also has to consider the type of job, the working environment, the benefits, and the reputation of the company. Being an applicant also means meeting all the requirements and standards of the hiring company. If you qualify, you can start your job hunting immediately. There are mediums or agencies that make application easy and convenient. Fresh graduates and people who are constantly searching for jobs, especially those from the medical field, often search for jobs in recruiting agencies. These are agencies tasked to manpower specific medical institutions. Not just manpower, they screen, qualify, and assess applicants. Not all agencies are equal and the same. When applying, one should ask all the necessary questions to know if the staffing agency that they approached can lead them to the right field or to the field that they wish for. Clinics, home care institutions, special care centers, and hospitals rely so much on recruiting agencies for dependable staffing. Nursing on Demand, Inc. a Nurse Staffing Agency in Jacksonville FL is a go-to place when it comes to medical recruiting. 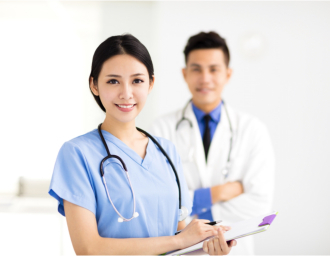 We want to be the leading medical staffing agency that you can depend on all the time. Why choose us? We uphold the professional standards of our medical staff members and we make sure that they are assigned to the area where they can grow professionally. We have a wide range of selections for assigned areas in our company. When you choose to apply to us, we have a strategic way of assessment to fully identify the fitted area of assignment. Nursing on Demand, Inc. provides continuing education program or training to all its employees. This is to align the competencies of our team with the constant change and innovation in the medical field. This way, our staff members are confident with their skills and are well experienced. This is very important since being in a medical area requires focus and precision. In emergency cases, hospitals and clinics life itself depends on the hands of the caregiver, may it be a nurse, doctor, therapist, or other allied team members. We take it as a responsibility to provide the best and we can only do that by being the best Medical and Health Staffing Recruitment Agency. If you have a friend or loved one who is interested or looking for a job but is having a very hard time, please share this good news with them. We will help them achieve their dream job! You can also comment below for questions and any other concerns. This entry was posted in Nurse Staffing Agency and tagged Health Staffing, Right Job, Right People. Bookmark the permalink.